Using a Polyphosphate Filter Cartridge can virtually eliminate corrosion and scale build-up on fixtures and appliances by allowing the polyphosphate beads to slowly dissolve in the water which causes the calcium to be held in suspension and not attach itself to the walls of the plumbing system. It basically binds the calcium not allowing it to attach itself. The dissolving beads apply a coating on the inside of the pipes and this also protects the plumbing system from corrosion. 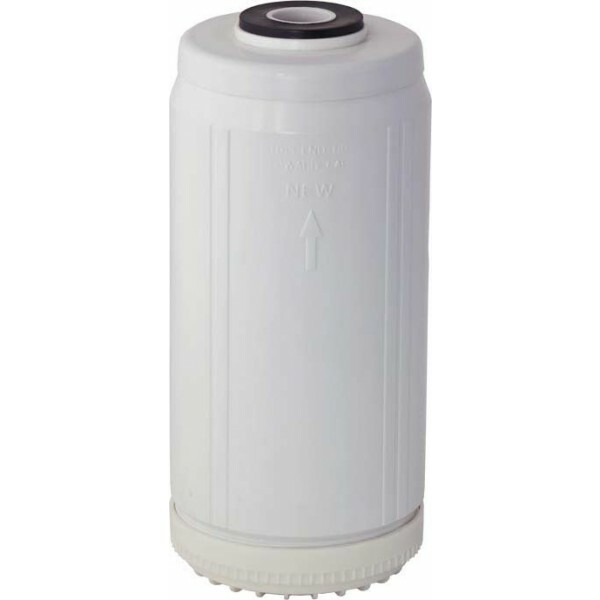 Many home plumbing systems and commercial systems incorporate this filter cartridge into the water treatment system, particularity where the water is very hard, or the water calcifies quickly in the hot water side of the system. These cartridges contain food grade slow dissolve polyphosphate beads that dissolve slowly in water to inhibit scale and rust build-up. These cartridges are recommended for use with ice machines, coffee and vending machines, food service equipment, water heaters and many other types of water processing equipment.